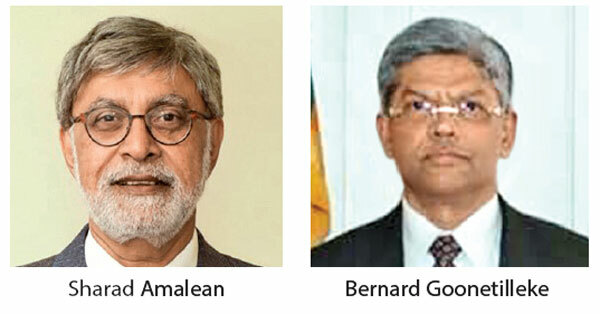 The Pathfinder Foundation (PF) together with the Joint Apparel Association Forum Sri Lanka (JAFFSL) is scheduled to hold a series of seminars on current international developments. The first in these series will be entitled “The Belt & Road Initiative (BRI) in the Indian Ocean Region” This will be conducted with the participation of a high-level expert panel from the China Institutes of Contemporary International Relations (CICIR) and will take place on 8th April, 2019 from 2:30 p.m. to 4:15 p.m. at the Tulip Hall, BMICH. CICIR, is among China’s largest, oldest and most influential research institutes for international studies. The academic staff of the CICIR is approximately 400, including 150 senior research fellows. Its activities include: providing policy advisory to the Government, publishing academic papers, conducting joint research projects with foreign institutions etc. JAFFSL is the apex body representing almost the entire textile and apparel industry in Sri Lanka, which includes textile and apparel manufacturers and exporters, fabric and accessory suppliers as well as buying houses. Membership of the association under JAFFSL consists of over 400 textile and apparel manufacturers, buying houses and accessory manufacturers. The Pathfinder Foundation is a prominent, not-for-profit, non-partisan, private think-tank that promotes economic reforms and regional and international cooperation. It also has a special focus on strategic studies and a wide network of international affiliations. The Seminar will consist of four analytical presentations. Dr. Fu Mengzi, Vice President of CICIR will speak on ‘Potential Impact of the BRI on Economic and Business Development, followed by Dr. Hu Shisheng, Director of Institute of South Asian Studies, who will speak on ‘Governance and Security in the Indian Ocean’. ‘A Sri Lankan perspective on the Economic & Business potential of the BRI’ will be presented by Dr. Sirimal Abeyratne, Professor of Economics, University of Colombo, while Admiral Professor Jayanath Colombage Director, Centre for Indo-Lanka Initiatives (CILI) and the Centre for the Law of the Sea of the Pathfinder Foundation will speak on ‘The Governance and Security in the Indian Ocean - A Sri Lankan Perspective’. The sessions will be jointly chaired and moderated by Sharad Amalean, Chairman, JAAFSL and Bernard Goonetilleke, Chairman, Pathfinder Foundation.